Even Taller and A favourite bed from my series 'In the company of Hounds'. Both are available for sale. 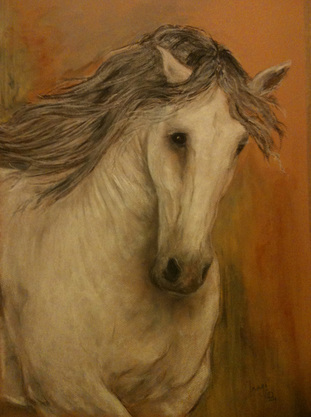 A pastel painting of El Torito Camarón..who lives with Terry & Joao at Los Acres, California. ​ Limited Edition Fine Art Print of 100. It measures 65 cm x 50cm and will come rolled in a strong cardboard tube ready to frame. 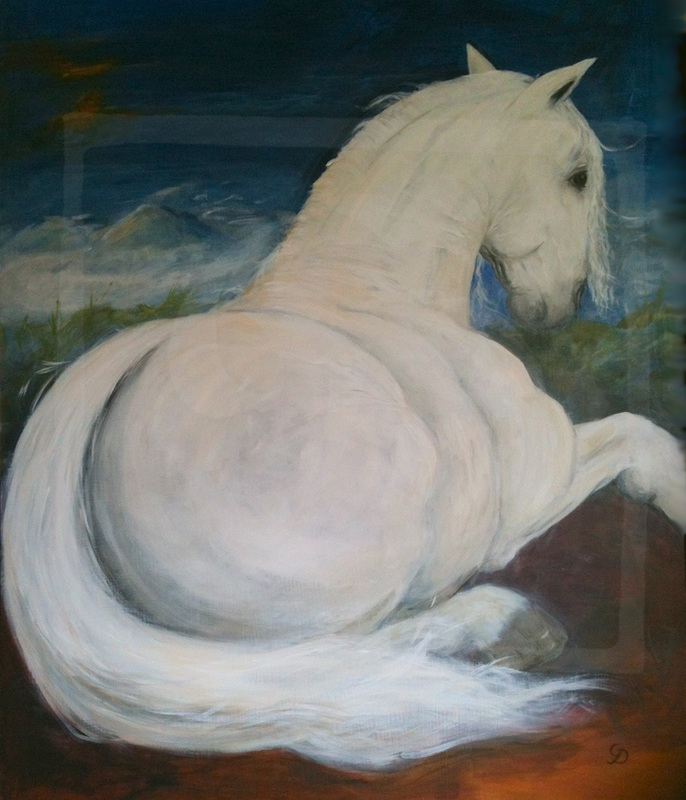 The original painting is also for sale, please contact me for details gloria@gloriadean.com. Three little Wildstar Dachshunds, pastel portrait 50 x 70 cm. Commission...courtesy of Mr Roy Wood. Saffy, pastel portrait. Commission...courtesy Mrs H Moore. Bertie, pastel portrait. Commission...courtesy of Mrs J Chapman. This is 'Inago' at play. Every now and then I take on commissions, and it was such a joy to get to know this lovely horse through this pastel portrait. Of course his beauty was obvious, but it was the friendship, trust and playfulness I saw in he and Katrin, that I wanted to capture as well. Acrylic on gesso panel. 99 cm x 79 cm (39 x 31 inches) unframed. No need for fantasy, or false embellishments, the Iberian horse has a natural flamboyance that is almost mythical. The large, dark, deep set eyes speak of centuries ... of an ancient world, of courage, knowledge and loyalty. This painting is available for sale. Please contact me for details. Chinese symbolism is a fascinating and often confusing subject of delightful allegories. 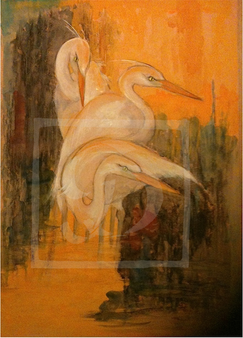 Herons symbolise strength, purity, patience and longevity. Three Herons is a rebus of 'think three times'…..This is a good philosophy....I like 'think three times' . The paintings are mixed media, measure 90 x 68 cm ( 35.5 x 27 inches) in limed Ash frames and are available for sale.